Wouldn’t it be nice if low-interest rates last forever? 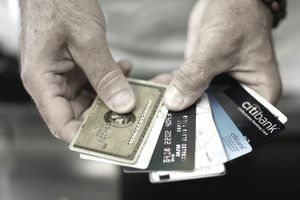 Unfortunately, the saying “All good things must come to an end” is especially true when it comes to credit cards. One of the practices credit card issuers are notorious for is suddenly increasing interest rates. Of course one of the reasons it seems so sudden is because most credit card issuers only have to send you 15 days notice before increasing your interest rate. When your interest rate increases, you’ll typically have an opt-out period allowing you to reject the interest rate change. If you opt-out, your account will be closed and you can continue to pay your balance at the lower interest rate. Once the balance has been completely repaid, you won’t be able to use the card, since the account has been closed. There are some cases you might not want to close your credit card account because it will hurt your credit score – like when it already has a balance on it or it’s your oldest credit card. In that case, there are some other things you can do. Call the issuer and get it lowered. If your interest rate increased because of a delinquency or default on your part, you may not be able to get the interest rate increased, even if it was with a different credit card. On the other hand, if you have always paid your account on time and one slip-up resulted in an increased interest rate, you may be able to talk your card issuer into lowering your interest rate. Pay off as much of the balance as you can before the increase goes into effect. If you can lower your balance before the new interest rate takes effect, you won’t feel the brunt of the rate so much. You may have to cut back spending in other areas to put more money toward your credit card balance. Transfer the balance to a lower interest rate credit card. Before you do the balance transfer, make sure you have enough available credit to handle the new balance. You might also compare any balance transfer fee against the cost of paying off your balance at the higher interest rate. The balance transfer fee might exceed the additional finance charges you’d pay. In that case, transferring the balance would actually cost you. Keep the card and pay off the balance at the newer, higher interest rate. Although it may not be the most desirable solution, it may be the only one available. When none of the other options work, you will have to pay the balance at the higher interest rate. In this case, you should still pay off the balance as quickly as possible to keep from paying high finance charges. As long as you continue to make your payments on time (to all your accounts) and stay below your credit limit, your credit card issuer may decrease your interest rate after six to twelve months. Don’t be afraid to call and ask for a lower rate if you have to.